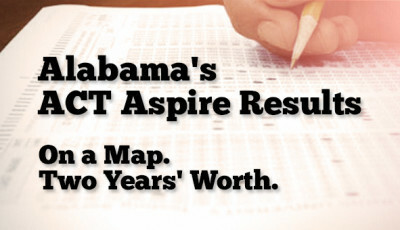 Alabama School Connection » ACT Aspire Results by School. On a Map. 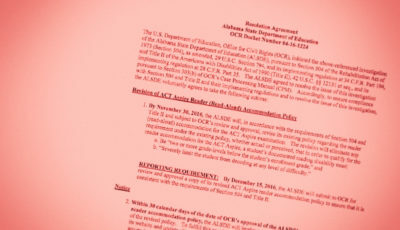 A couple of weeks ago, we shared two years of district-level ACT Aspire results. On a map. This time, we’re diving into two years of school-level results. On a map. It’s too easy to view tables and charts and not personalize what you see. Maps connect us to our schools. They show us places that actually exist. 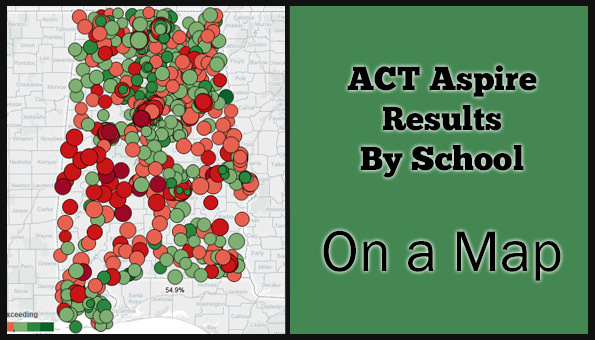 On the maps that follow, you can view ACT Aspire results by school for both the 2014-2015 school year and the 2013-2014 school year. Choose a school year, a grade, and a subject. The color of the circle that represents the school’s location will be either a shade of red or green, depending on the results, with progressively darker shades of green representing higher proficiency rates (50% and above) and progressively darker shades of red representing lower proficiency rates (50% and below). The scale is not dependent on the state average or any other particular figure. Because so many grades and subjects are measured, using a standard scale keeps measures similar. The size of the circle corresponds to the school’s poverty rate. The percentage of students eligible for free or reduced-price meals is used as a proxy for the school’s poverty rate. 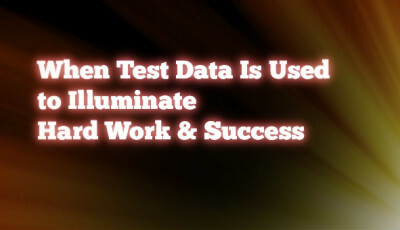 Hover over a circle to view more information about the school, including the number of students in the grade tested, the enrollment in the school and district, and the percentage of students eligible for free or reduced-price meals in the school and also in the district. The four levels of ACT Aspire results (“In Need of Support”, “Close”, “Ready”, and “Exceeding”) are given. The amount of local money spent per pupil (from FY14 data) is shown for the 2013-2014 results. We don’t yet have FY15 data but will add that to the map when it becomes available. Updated September 29, 2016, to include FY15 local money spent per pupil. The sliders allow you to narrow the results to only show schools that meet the range you set in the variable. For example, if you want to view the results for only those schools where 80% or more of the students are eligible for free or reduced-price meals, use the slider to only show that range. Another slider is available to narrow down results by percentage of students proficient, meaning that the students’ results were at the “Ready” or “Exceeding” level. You must zoom in on the map to get a better view of the schools in a particular area. Hover over the map to show the zoom tools. For those who prefer a video tutorial, here’s a look at how to use the map’s interactive features to ask questions and get some answers. 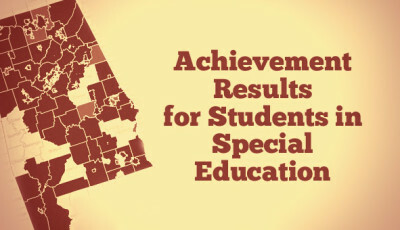 There is some discrepancy between the data supplied in the spreadsheets (which were used to create the maps) and the Alabama State Department of Education’s official accountability portal. Specifically, it appears that some subgroup data is missing from the spreadsheet. I have requested more information and will share here when it is received.